Mary C. Timmers, age 100 of Faribault, MN passed away on Friday, April 12, 2019 at her home at Pleasant View Estates. Mass of Christian Burial will be held on Wednesday, April 17, 2019 at 11:00 a.m. at the Divine Mercy Catholic Church, 139 Mercy Drive, in Faribault with Fr. Brandon Theisen, officiating. Interment will be held at the Calvary Cemetery, Faribault. 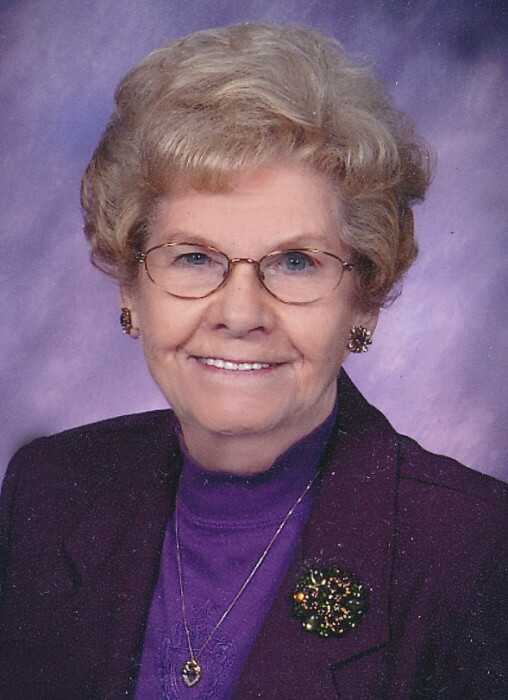 Visitation will be held at the church on Wednesday from 9:30 to 11:00 a.m.
Mary Claire, the daughter of Charles and Mary (Hagen) Zimmeth was born on May 14, 1918 in Mankato, MN. On June 19, 1945 she was united in marriage to Martin A. Timmers at St. Peter and Paul’s Catholic Church in Mankato. They had met at a dance at Loyola Hall in Mankato in 1938. After their marriage they lived in Spokane, WA for a short time before moving to Faribault. Mary stayed at home to raise their growing family. Mary was a member of the Divine Mercy Catholic Church, Secular Franciscan Order Holy Spirit Fraternity, Knights of Columbus Ladies Auxiliary Council 889, Daughters of Isabella Our Lady of Victory Circle 559, American Legion Post 43 Ladies Auxiliary, Disabled American Veterans Auxiliary, V.F.W. Post 1562 Ladies Auxiliary and the Faribault Senior Center where she enjoyed water aerobics for many years. She also enjoyed traveling, especially winter getaways to Arizona. Mary is survived by her children, Carol (Art) Soeters of Faribault, Lois (Edwin) Gehrke of Warsaw, Linda (Russ) Stadler of Rosemount, MN, Larry (Barb) Timmers and Gary Timmers, all of Fountain Hills, AZ, JoAnn Velzke and special friend Ken Paulson of Faribault and Janet Timmers and special friend Steve Paquette of Faribault; by 12 grandchildren and 22 great grandchildren; by two sisters, Alice Norlinger and Rosemary Donovan and by many nieces, nephews and other relatives and friends. She was preceded in death by her parents, husband and brothers and sisters and their spouses, and by her son-in-law, Art Soeters.